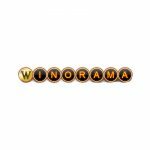 Win-O-Rama online casino launched in 2016 and is managed by Hermione Ltd, the company behind Twino Trading N.V. This casino is licensed by Curacao eGaming. If you’re looking for fresh gaming content and a somewhat different online gambling experience, you’re sure to enjoy Win-O-Ramas contribution to the iGaming market. The operator has partnered with Netoplay, a fairly unknown gaming software developer who is making great and speedy strides in the slots and scratch cards arenas. With rather catchy titles for scratch cards like Scratch Roulette, Blackjack Scratch and Vegas Catch, this is one casino you might well want to check out. This online casino offers a broad range of video slots, bingo and scratch card games. You can access the site from pretty much any browser or device without the need to download casino software. As a new player to Win-O-Rama, you can also look forward to an exciting entry offer the lets you take the games for a test drive, before you even make a deposit. As far as online casinos go, this one offers up an appeal website with vibrant colours. There’s a dark theme here, giving Win-O-Rama a wonderfully classic look and feel. While it’s just a few years old, Win-O-Rama Online Casino has certainly received a warm reception from online gamblers around the globe. The site supports both English and French and the no deposit welcome bonus is a nice touch if you just want to try a few games without risking your own cash. Best of all, there’s a lovely plethora of games offering plenty of ways to win. The company itself, was set up by a small group of passionate players who aim to set higher standards for your overall online gaming experience. We’d say they’re winning with this. There’s loads of innovation that truly alters the usual iGaming experience, support available around the clock, enticing bonuses and top-notch safety and security measures in place, all making for a superior online casino experience. What can Win-O-Rama offer UK players? At Win-O-Rama, new players can take advantage of a £7 no deposit bonus as soon as you register a real player account. You can use your no deposit bonus to test out games without risking your own money. There’s a 30x wagering requirement on this one before you can make a withdrawal, but you don’t need a code to grab the offer since it’s automatically credited to you upon sign up. If you’re ready to deposit funds into your real money account at Win-O-Rama, you’ll be eligible to claim the generous £200 welcome bonus, which will add up to the amount you deposit. There’s also a 30x playthrough requirement on this one. Need more to get you going? There are also 70 free spins up for grabs, no deposit necessary! All in all, Win-O-Rama’s promotions section is packed full of exciting offers along with plenty of surprising bonuses. In fact, every 7 days, the casino chooses lucky players at random to receive mystery prizes like more free spins, deposit offers, free cash to play with and much more. This online casino also looks after its regular players. You can look forward to rewards like the Elite Loyalty Programme which allows you to rack up VIP points. You can then exchange your points for instant cash, special bonuses and loads of other regards. There are different levels to this casino’s VIP programme, so when you play a lot, you’re sure to win bigger, better rewards along the way. Win-O-Rama Online Casino offers you the chance to play and familiarise yourself with games before you even start playing with cash. But, one you’ve used up your handy no deposit bonus, you need to start making real money deposits if you want the chance to win real cash. To do this, several deposit methods are available for you to fund your real player casino account. As for withdrawals, Win-O-Rama promises to process withdrawals to e-wallets within just 72 hours. The information regarding deposits isn’t completely clear on the site, so just make sure you check with support before you sign up. The minimum deposit at Win-O-Rama is just £10, while the minimum withdrawal is also £10 for all methods except bank transfers, which is £50. You can withdraw up to £3,000 a month at this online casino. Once you’ve signed up, grabbed and bonus and figured out which banking method works for you, it’s time to start playing. Win-O-Rama is a web-based online casino, and it may not be the best choice if you’re an avid fan of table games. Where this casino excels, though, is on scratch cards, slots and instant games. Each and every gaming category, we think, is packed with well-balanced options for decent flexibility. The site is powered by NetoPlay who is a software developer are based in Cyprus. NetoPlay provides instant online casino games using top-notch HTML5 codes to suit your mobile device, too. So, you don’t need to download any software to have fun at Win-O-Rama Casino. The software, as we’ve mentioned, mainly focuses on scratch cards and slots and is a great place for recreational gamblers to hang out. Whether you want to play on your desktop PC, laptop or mobile device, you can count on Win-O-Rama being fully responsive and loads of fun. The array of games at Win-O-Rama include bingo, scratch cards, slots, instant games and a few other highly-rated games. Some of the most famous slot titles to look forward to here include Luck Bugs Garden, Cleopatra, Mr & Mrs Scratch, Fortune Wheel, Scratch King and Aladdin’s Treasure. There’re also slot titles like Fifty Shades of Love, Lucky 8, Zombie Apocalypse, Farm Scratch, Diamonds’ Scratch, Noah’s Ark, Fishing Birds, Super Kick, Sushi Train, Multi Slots, Madame Brioche’s Bakery, master Mind and Egypt’s Gold to look forward to. Best of all each and every player at this casino can enjoy a 95% payout rate on the casino’s scratch cards. Interestingly, Win-O-Rama claims that a win is produced one in every three cards, so it might be your turn next! The scratch cards all come with a fun storyline, too, where names like Mermaid Scratch and Pirate Scratch seem to be the order of the day. Take note, though, the one thing you’re not going to find at Win-O-Rama casino is table games. But, as far as scratch cards go, this is where NetoPlay puts most its focus. In fact, you’ll even find scratch card games like Year of the Dragon, Vegas Catch, Aztec Gold, Blackjack Scratch, Sports Cards and Scratch Roulette to try your luck at. The other main gaming category at this online casino is made up of bingo-style and instant win casino games. There are bingo options like Bingo Mania and Bing Club, along fun instant win games such as Safe Cracker, Fortune Wheel, Plink Scratch and Tiki Beach to have a crack at. Since Win-O-Rama doesn’t offer table games, and mainly focuses on instant-win types of games, it does not have a live dealer section. On the whole, Win-O-Rama Online casino is a rather classy affair complete with a huge selection of scratch cards, instant win games and slots for both desktop and mobile devices. While the website doesn’t say very much about its compatibility with portable gadgets, we did our own experiment to check if you can have fun on the go with quick games of luck. Good news, you can! You can access the online casino from your tablet or smartphone for seamless on-the-go casino gambling. Every transaction you make at Win-O-Rama is safe and secure thanks to the casino’s use of SSL encryption software. The casino is licensed and regulated by the commissions of Cyprus and Curacao and there’s additional safety measures in place along with a solid responsible gambling policy that forces the casino to help you should gambling become a problem. Win-O-Rama also uses Random Number Generators and its games are audited by a third party for the utmost fairness. Need help when you’re online at Win-O-Rama? No problem! Customer support are on hand to help you whenever you need it. The well-trained and professional team just make getting support easy. There are a number of ways you can get in touch. There’s live chat support, which lets you communicate directly with a support team member when you need urgent and immediate assistance. There’s also a call back option where you can ask for a member to call you back on the phone, and there’s an email support address that is answered as soon as an email is received. There’s even a direct landline. If you’re on the hunt for a rather different and very fresh online gambling experience, Win-O-Rama is sure to be your best bet. There’s that handy little no deposit bonus and match deposit bonus for new players, and plenty of other promos on offer once you’re up and running, including weekly surprise bonuses in the form of free spins, cash drops and more. This casino’s VIP club also gives you more ways to build up to better prizes the more you gamble, along with bigger and better benefits. The site’s main focus is on slots and scratch cards, and it does lack in terms of table games and live dealer games for more serious online players. But, it’s a great place to be for new and casual players alike. There are more than enough banking options and customer support is always around when you need them. Overall, Win-O-Rama Online Casino is a solid choice for slots and instant win fans.